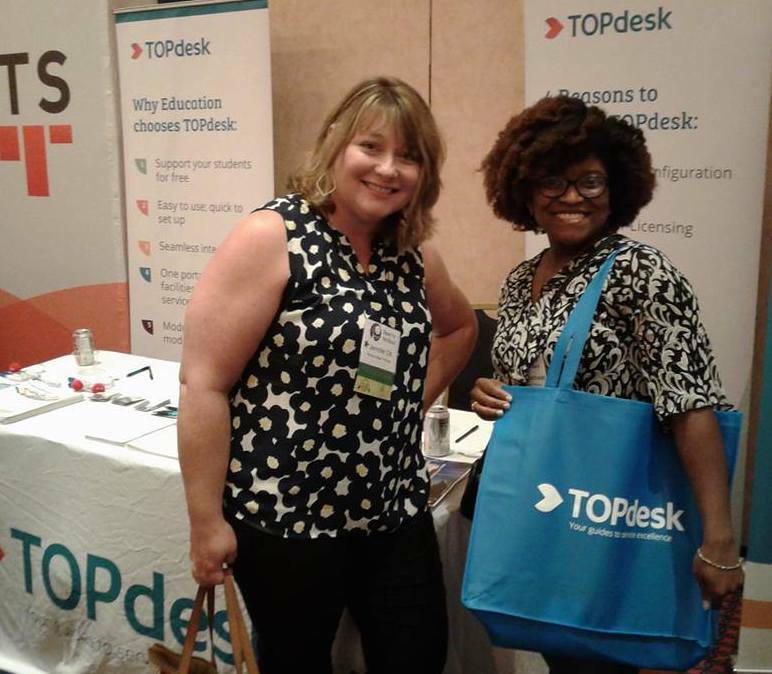 Tierney and Jennifer had never heard of SIGUCCS when TOPdesk approached them about doing a presentation at the 2018 conference. They agreed to present and were originally just looking forward to a trip to Orlando and thinking that they were doing the vendor a favor. However, when they began looking at the conference website and conference program they got excited. They had no idea what to expect from the conference but were interested in many of the presentations. They also did not anticipate that upon arrival at the conference that they would find a great group of people that they could reference in the future. Jennifer remarked that one of her biggest takeaways from the conference is that she came away with many examples of how other colleges and universities are improving customer service and training at their help desks. The conference provided a balance of different types and sizes of schools and everyone was open to sharing information about how they worked. Tierney, who is a database administrator, had heard of ACM, but was surprised to find that there was a SIG for US, people that work in IT in higher education. She commented that this is a crazy supportive group. Both Jennifer and Tierney remarked that they had so much fun learning at the conference that they almost forgot that this was work-related. They came away with lots of fresh ideas and were impressed that so much of the conference content was relevant. There were too many session to choose from and lots of interesting people with interesting things to share. The networking opportunity was exceptional. Lastly, they wanted to recognize the amazing dedication of the volunteers for SIGUCCS. Putting such a great conference together takes a lot of work and their experience was seamless.